Fantasy outdoor fun and adventure park for families. With amazing tree houses, tree-top trails, adventure slides, giant swings, zip wires, boat rides, a sky maze and much more. 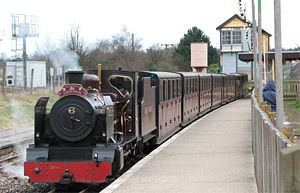 Narrow gauge steam and diesel railway, running from Aylsham to Wroxham in the Norfolk Broads. Combined train rides and Broads cruises available. 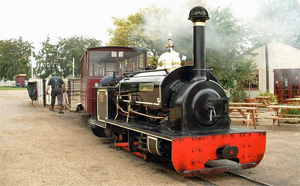 Bressingham's 500 acres of gardens and woodlands provide an interesting setting for its miniature steam locomotive collection, including a steam Carousel. The narrow gauge rail tracks runs across the wooded valley of the River Waveney. The 20 acres of landscaped gardens contain thousands of varieties of alpines, trees, shrubs and perennials, providing all year round interest. The Dads Army Appreciation Society collection and the Norfolk fire museum are also located here. 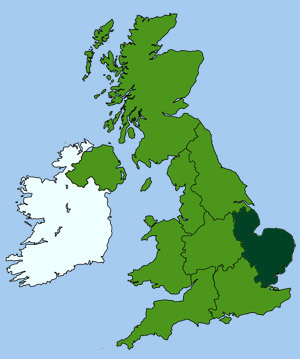 The name Caister is Roman in origin and this coastal area was once an important Roman naval base. 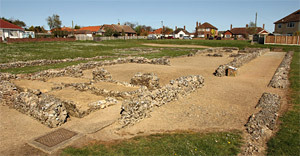 The partial excavated flint and brick remains of a defensive shore fort are still visible. 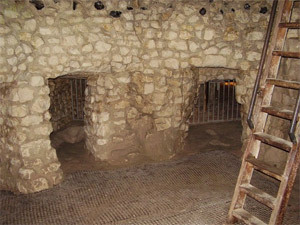 The site is opened to the public and managed by English Heritage. Family fun park and farm with indoor and outdoor play areas, pedal tractors, friendly farm animals, tractor and trailer rides and tearooms. 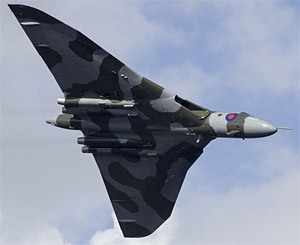 An amazing collection of military aircraft, including iconic Vulcan and Nimrod bombers. Exhibits cover the role played in this area by British and American planes during WWII. Plus indoor and outdoor aviation displays relating to the aeronautical history of Norfolk. 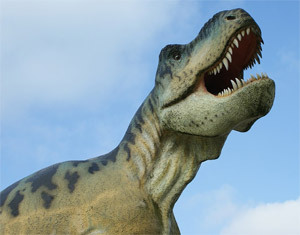 Rip roaring children's adventure park with a life-size dinosaur trail, where you can encounter giants from the past. Make friends with cute animals in the secret animal garden or enjoy the large indoor and outdoor play areas and deer safari. Displays of crashed war planes recovered from the fens, including jet engines, weapons and other war time memorabilia. Highlights Include the wreckage of a Mosquito NS 998, restored DH Vampire T11, Rolls Royce Merlin and a German JU 88 engine. Outdoor adventure centre for the whole family, located in 26 acres of picturesque woodlands, with climbing frames, zip wires, rope swings, climbing walls and many more fun activities. Set in over one acre of attractive landscaped gardens, this enchanting 1/12th scale miniature village features lakes and waterfalls, a working fairground, quarry, houses, shops and a model railway. Other attractions include mini crazy golf, an old penny arcade and traditional tea rooms. Family fun Adventure Park with everything for young children to enjoy, including fun rides, adventure play areas, live shows and animals to see, pet and feed. Family theme park with family rides, thrill rides, kids rides, shows and attractions. 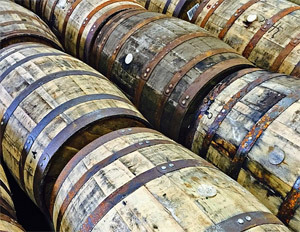 The home of traditional single malt English whisky, produced from the finest Norfolk barley. Regular distillery tours, free tastings, coffee shop, gift shop and World Whisky Shop. Set in beautiful grounds alongside the River Thet. 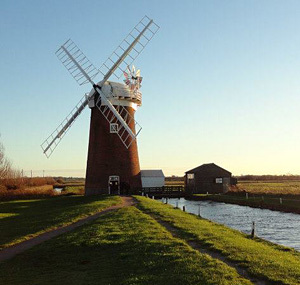 A number of old restored windmills can be found across Norfolk. Mainly of 18th century origin, they were used for various means including grinding grain and pumping water from the low lying fenland areas to drain the land for agricultural use. One of the most picturesque of these old pumping mills can be found at Horsey (shown right), hear Hickling Broad. One of the finest corn windmills, which is still in working order and also open to the public, can be found at Great Bircham. Regular tours are available of the inside of the mill and its machinery. The mill's tea room serves refreshments, home-made cakes and cream teas.